The small hospital in Phi Phi Don is located west of Ton Sai Bay, at the end of the beach (near the Beach Club, 5 minutes walk from the pier). It is rather a clinic than a real hospital, in case of major problems, you should go to Phuket hospital. The police station is located at the end of Ton Sai village, on the way to Long Beach. 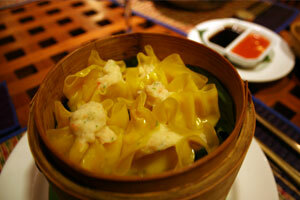 Rates are 200 Baht for 30 minutes, 300 Baht for 1 hour. Treat yourself with back massage or facial massage, but also pedicure, manicure, reflexology and aromatherapy. 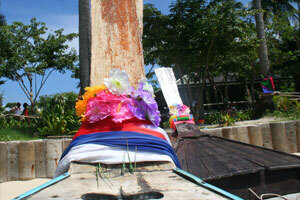 Photo: Spirit house in Tonsai Bay, Phi Phi Islands. GSM reception throughout the island of Phi Phi Don. There are also phone booths almost everywhere. The post office is located in the center of Ton Sai village. Major international newspapers, books and magazines on sale in Ton Sai village. Phi Phi publishes its own monthly "Phi Phi News". It is distributed free of charge on the island. There are Internet cafes everywhere on the island, sometimes where you do not expect them, for example in a massage parlor. It costs between 1 and 2 Baht per minute (DSL Internet). At certain peak hours, Internet cafes attract customers with special happy hour offers, mainly during morning and evening. 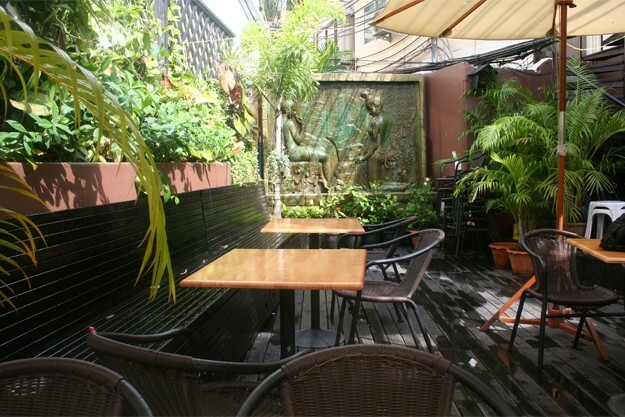 Some restaurants and guesthouses offer free WiFi to their customers. Laundries are ubiquitous on the island. Good thing because long-term travelers are numerous here. Almost every family, every business offer laundry service, all have the same rate: 50 Baht / kg. 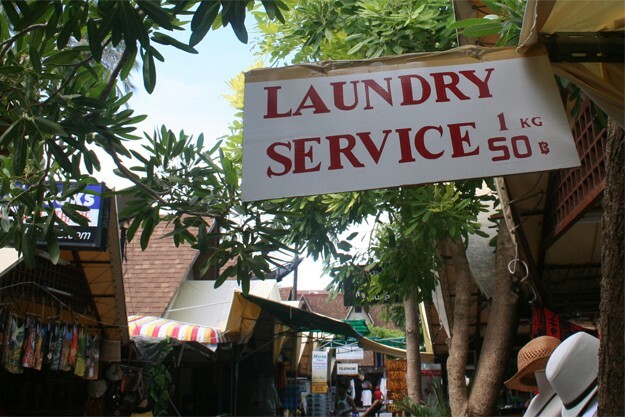 Photo: Laundry service in Koh Phi Phi. In Thailand, the rule is to haggle. 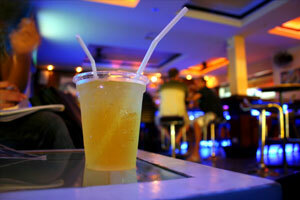 But there are so many tourists on Phi Phi that many businesses do not want to haggle anymore. Prices are displayed, therefore it is difficult to lower them. There are many clothing shops, jewelry, decorative ornaments ... a bit the same tourist traps found in Phuket, Krabi or Bangkok. But be careful, as everything is imported, you'll pay a bit more. 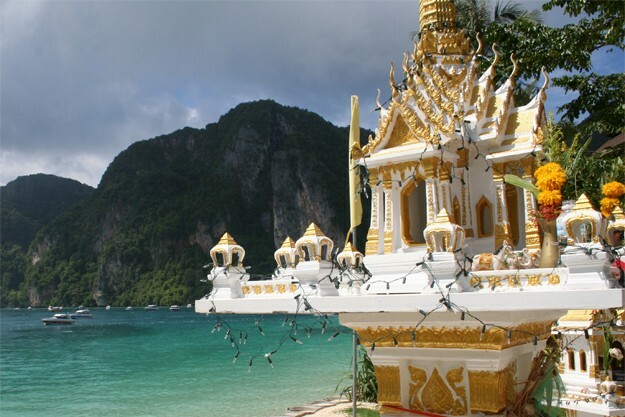 Keep in mind that the shells often come from the natural reserve of Phi Phi and it is forbidden to take. Cigarettes are much cheaper here than in the United States or Europe. Prices vary from store to store but expect to pay 70-80 baht per pack. Some special promotions (two for one) are interesting in stores like 7-Eleven.